JVC 2x Mini DVD-RW Media (VDW14G10SP) by JVC at My Daily Scanner. MPN: VDR14G10SP. Hurry! Limited time offer. Offer valid only while supplies last. 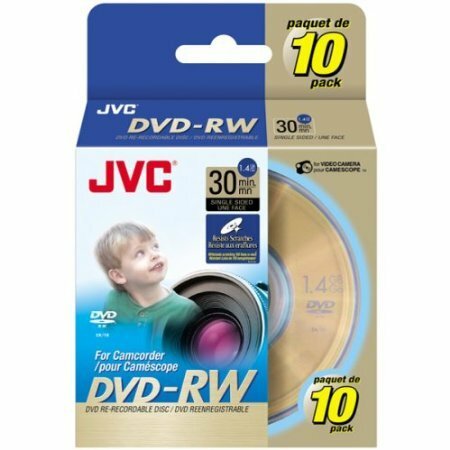 Rewritable 8 cm DVD can be used with a DVD camcorder or any regular DVD recorder. Compatible for playback with most existing DVD Video players.